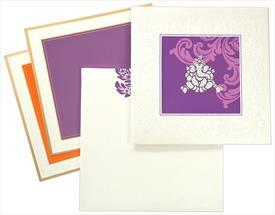 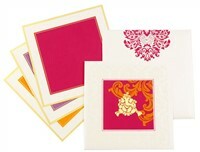 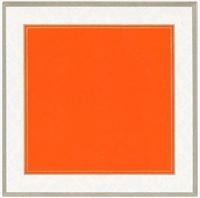 D-5837, Cream Color, Shimmery Finish Paper, Hindu Cards. 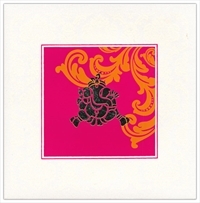 The card front has ganesh in laser cut with golden textured base below. 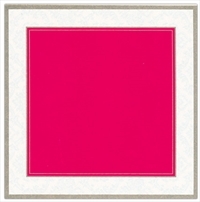 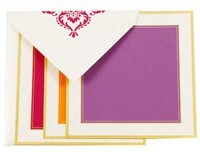 The 3 inserts one each with orange, purple and pink base has golden border all around. 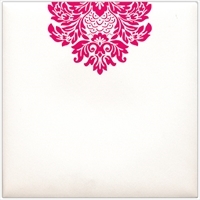 Cream color shimmery paper (250gsm) for card, left of card, 3 inserts and mailing box envelope.